Dream Foot lets you play chords with a tap, a MIDI keyboard, or a MIDI foot controller. Choose one of our built-in sounds, or send MIDI Out to your favorite synth app. Great for songwriting, teaching, band practice, and live performance. • Play guitar while triggering chords with your foot. • Need an accompanist to play the keys? Dream Foot is perfect. • Tap the screen to play a chord, or go hands-free with a MIDI foot controller. • Play a chord by pressing a single key on your MIDI keyboard. • Or play the keyboard while triggering chords with your foot. Dream Foot is divided into two modes: Jam mode and Song mode. • Multi-touch interface so you can play multiple chords simultaneously. • Smart Sustain will let a chord ring out, and will automatically stop when another chord is tapped. • Tap the Play button to play the next chord. • Smart Sustain will let a chord ring out, and will automatically stop when the Play button is tapped again. • Tap a chord button to queue the chord so it will play next. • Tap and hold a chord button to edit, copy, paste, delete, or insert a new chord. • Up to 8 chord progressions per song. • Unlimited songs, sorted alphabetically. • Amazing Grace is included as an example song. • 16 songs can be stored in the Setlist for use in live performance. Chords can be created using two different methods: Factory Chord and Custom Chord. • Not a keyboard player? No problem. Just tell Dream Foot you need a Gsus4 and it will give you the right notes. How about a D9/F#? We got you covered. • Creating a custom chord voicing has never been easier. Simply tap the keys you want, or plug in a MIDI keyboard to select the notes you want by pressing keys on the MIDI keyboard. • Dream Foot can easily learn how you’d like for it to respond to actions on your MIDI controller. Simply enter MIDI Map mode, tap the button you want to map in Dream Foot, then perform the action on your MIDI controller. The action might be pressing a key on a MIDI keyboard, or tapping a foot switch on a MIDI foot controller. • Velocity – affects the intensity of built-in sounds as well as MIDI Out sounds. 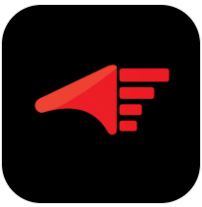 • Volume – affects the volume of built-in sounds. • Transpose – allows you to transpose all notes while chord names remain unaltered. • MIDI Out – allows outgoing MIDI connections so that you can play chords in Dream Foot while using the sounds of another app.